Welcome to Diana Hardware! We proudly serve clients in the Diana, TX area. We pride ourselves on our reputation for excellence in customer service and cutting edge products from trusted brands. We offer a wide range of products and services, and we’re adding more every day. 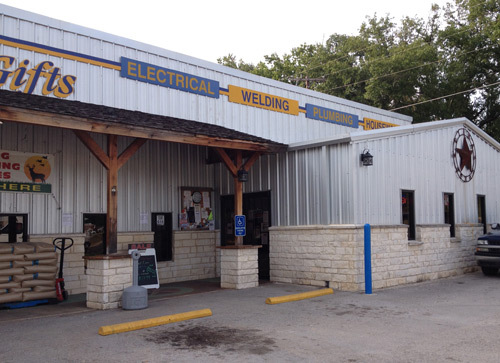 Please come visit us in our Diana, TX store and experience the quality products and old fashioned customer service you deserve at a hardware store. Did you know you could get feed right here at Diana Hardware? You can! We’ve expanded our feed room and now have much more to offer. Stop in soon and visit. For great service and expert advice from people you trust and know the products they sell, stop by or give us a call. You don’t need to drive further than you need to. If you value time and convenience, look no further than Diana Hardware. We can help you find what you need and get you on your way fast. Call us at 903-663-3481 for quick and courteous service without having to go through endless automated prompts! Get the help you need fast! © 2017 Diana Hardware & Gifts - All rights reserved.